Hi everyone! Welcome to this week’s Friday Favorites party! This week I’ve been busy preparing for our son’s first day of school next week. We’ve paid his school fees, picked up his schedule, purchased clothes and shoes, and tomorrow I’m picking up the rest of his school supplies. 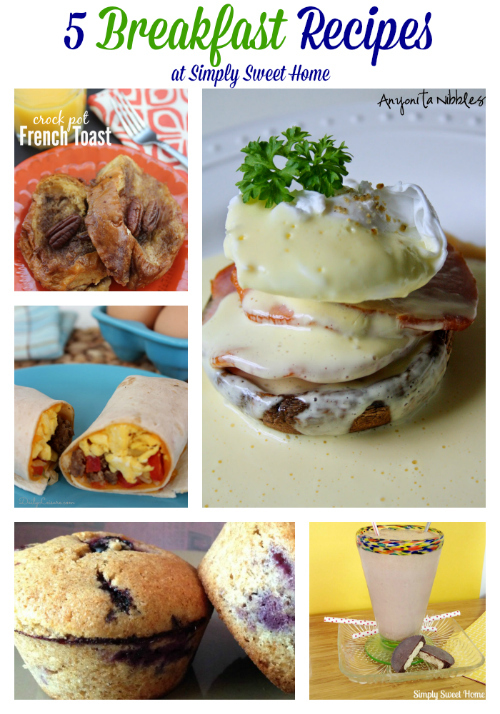 With all this back to school preparation, I’ve got breakfast ideas on my mind, so this week I’m featuring a few yummy “breakfast delights.” Not only would these make for some yummy breakfasts for the kids, but they would also make great mid-morning or mid-afternoon snacks for Mom! Hope you enjoy them! Good evening! Thanks for stopping by for this week’s Friday Favorites party! With summer drawing to a close, there’s just a little more time to feature some of those yummy summer foods, so today I’m going fruity with a few blueberry recipes! Hope you enjoy! Sweet Tea is a staple here in the South! Annie of Annie’s Noms is here today to share a fruity take on this classic drink. 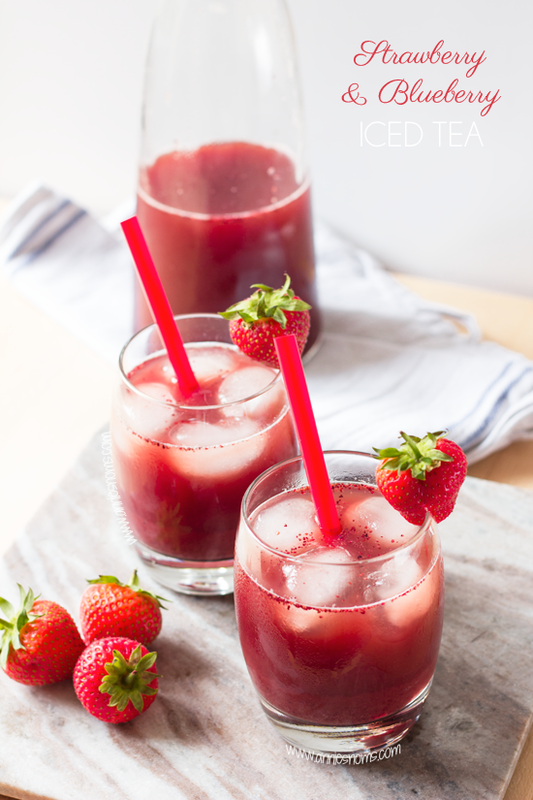 Hope you enjoy her Strawberry & Blueberry Iced Tea. Good evening! Welcome to Friday Favorites. With school out and the summer time upon us, I thought it would be good to feature a few breakfast ideas this week for you and your kids who are now home for the summer. And speaking of the kids, after you link up your post, you can enter my Chuggington DVD & Train Giveaway. It is a great prize for your small children! Also, if you’re in to beauty, please stay tuned for my Summer Health & Beauty Series, which will start this weekend. And finally I’m still in the process of contacting and scheduling guest posters for the summer! 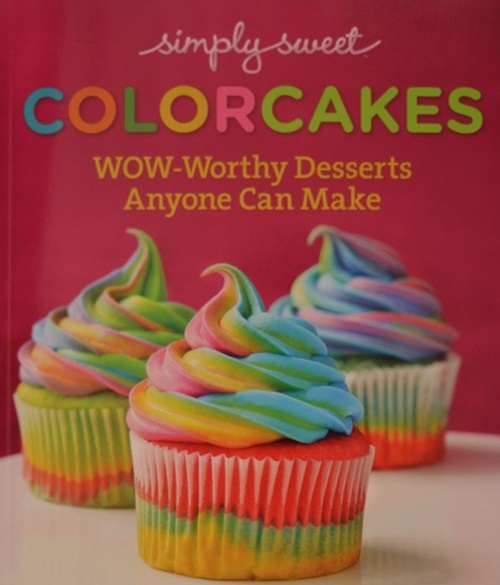 If you’d like to be a guest here, there’s still time to email me – simplysweethome@hotmail.com! Thanks! This is a Sponsored post written by me on behalf of Fresh From Florida for SocialSpark. All opinions are 100% mine. Being from the south, I love eating produce Fresh From Florida. The spring time is a perfect time for dishes made with fresh fruit. Fruit is so versatile! It can be used in everything from salads and appetizers to dessert! Spring is an especially great time for berries, especially blueberries! Blueberry Muffins are always a delicious breakfast treat, and blueberries are also great to place on top of cake, layer in to parfaits, and put in cobblers! 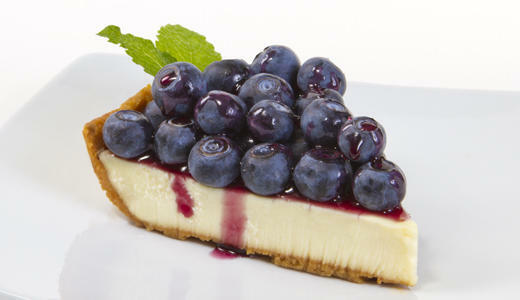 Personally I love a good cheesecake any day of the week and it can only be made better with a little blueberry on top! Today I have a recipe to share for a delicious Blueberry Cheesecake. Check it out! Directions: In a small sauce pot, combine 2 pints blueberries, sugar, lemon juice and water. Place sauce pot over medium high heat. Stir contents of pot as it comes to a boil, reduce heat to simmer. Cook blueberry mixture for 20 minutes or until it coats the back of a spoon. Strain blueberry sauce through a sieve if desired. You can find Fresh From Florida on Facebook and also follow them on Fresh From Florida on Twitter for updates and product information. Do you love blueberries? What is your favorite blueberry recipe (Fresh from Florida)? Breakfast can be a real challenge. Not only do you have to fight to get everyone awake and ready to start their day, but you have to find something that everyone loves to eat. Cereal is a simple go-to item, but there’s nothing like a hot breakfast. But let’s face it, the traditional favorites like bacon, eggs, and pancakes can also get old. But you can change it up with a nice breakfast casserole. 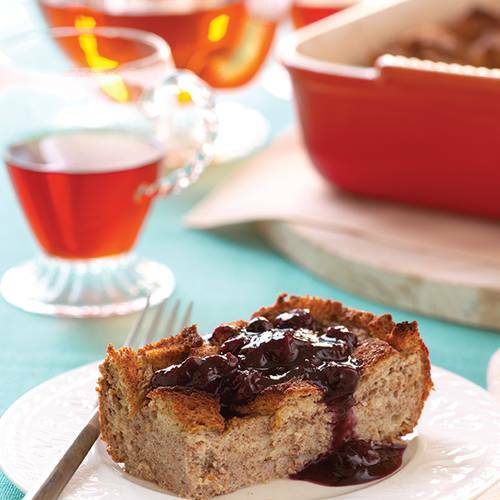 The folks at Recipe Rehab recently shared some breakfast recipes to help get out the usual breakfast routine, including a delicious looking French Toast Casserole with Blueberry Syrup. Check it out!